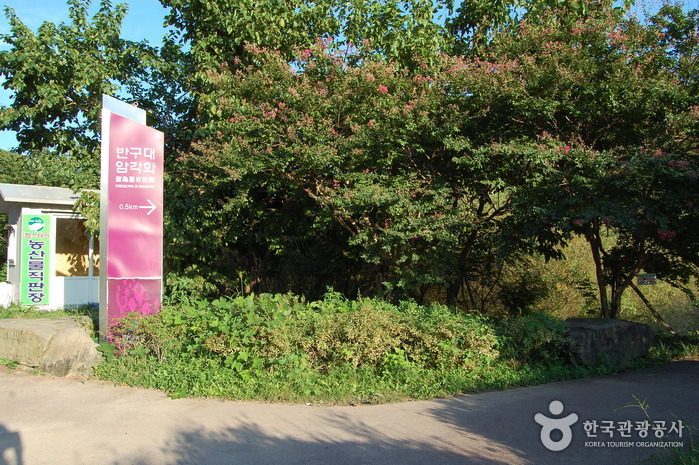 Driving directions : Take Bus 513, 515, 516, 313, 314 or 317 from Ulsan Intercity Bus Terminal to Eonnyang(언양) Intercity Bus Terminal. Transfer to Bus 361, 365, 369 or 373 (bound for Dudong(두동)or Duseo(두서)) from Eonnyang Intercity Bus Terminal to Bangudae. 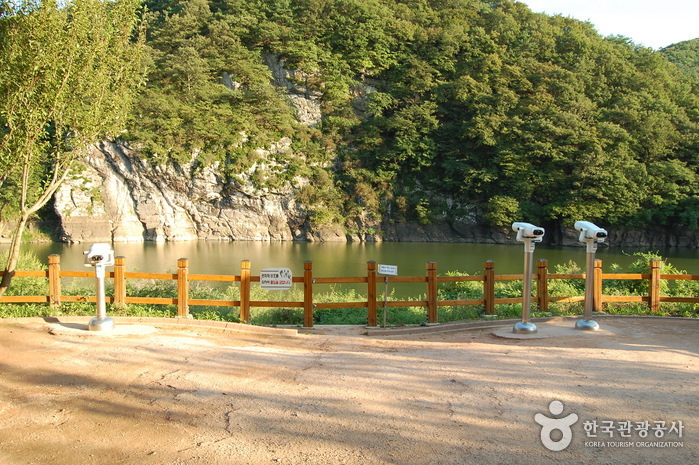 The Bangudae Petroglyphs are located in Daegok-ri, (Ulsan City) and were discovered by the Dongguk University Investigation Team in 1971. 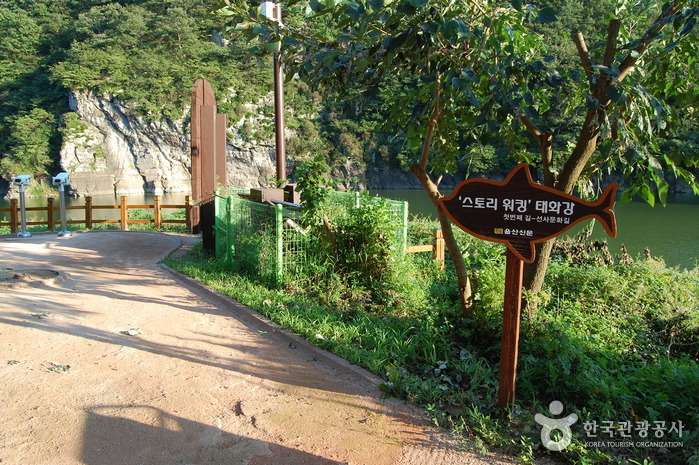 Since then, these rock engraving have been a representative cultural asset of Ulsan and have been a key reference point in research on rock carving techniques. 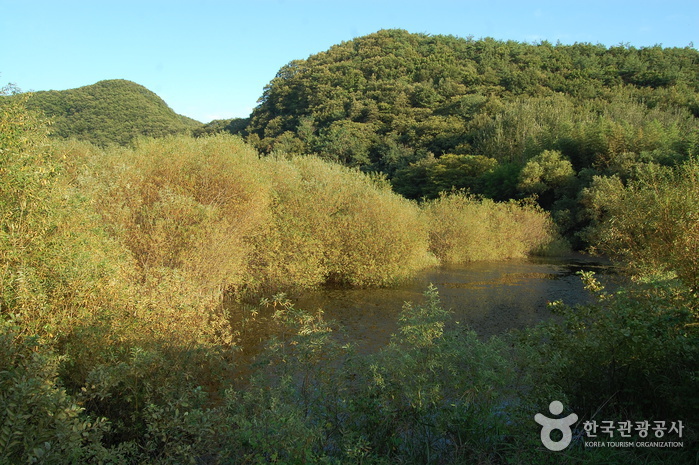 The Bangudae Petroglyphs were designated National Treasure No. 285 in 1996. Petroglyphs (岩刻畵) are figures of animals or geometrical symbols engraved on rock. 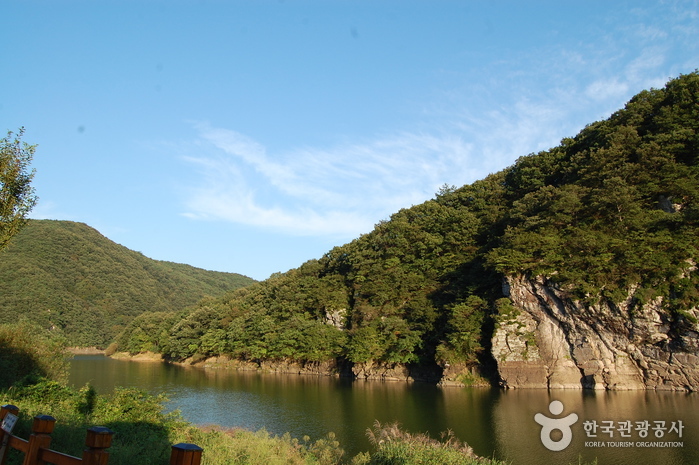 The Bangudae Petroglyphs are engraved on rocks located on the lower western banks of the man-made lake at Taehwa River. Due to the increased water levels resulting from the construction of the dams, the petroglyphs (10m wide and 3m tall) can only be seen during the dry season from October to February. 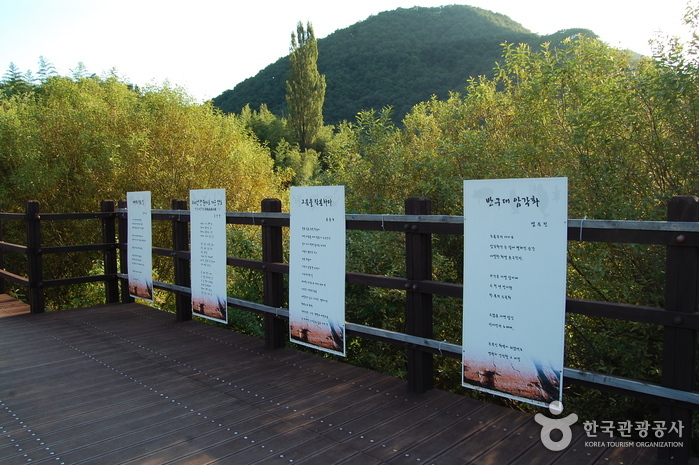 Since the Daegok River blocks a closer view of the engraved figures, a model measuring 6m in x_width and 3m in x_height has been set up across from the Bangudae Petroglyphs to give visitors a better understanding of this unique ancient art. 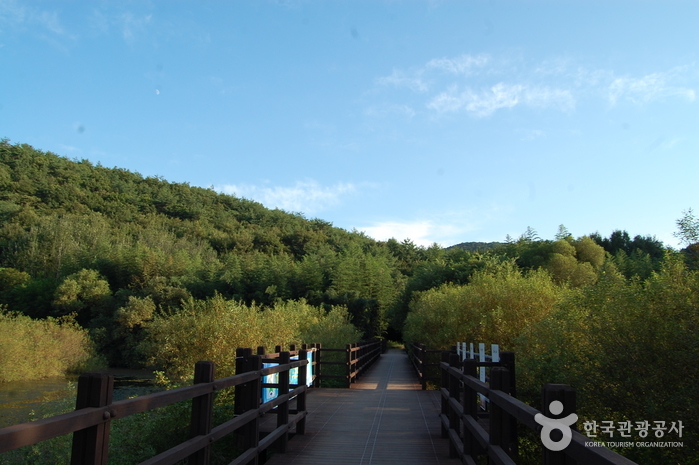 The engravings depict a total of 200 etchings including figures of land animals (deer, tigers, wild boars, etc. ), hunting scenes, sea animals (whales, seals, sea turtles), and boats and fishermen. 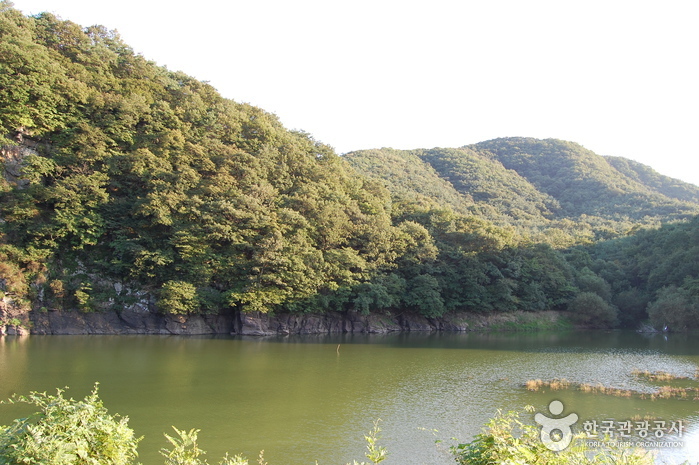 The Bangudae Petroglyphs are important reflections of the hunting rituals and religious arts of Korea’s prehistoric era and serve as an important clue into the lifestyle and customs of ancient Koreans.